Our new line of Organic mattress covers are becoming our most popular zipper covers for a Softside Waterbeds. This Bamboo cover has a Quilted smooth top and it is manufactured with a very high end Bamboo outer quilt which we hand picked. 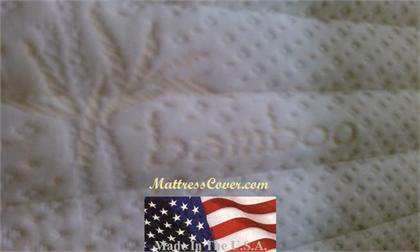 The bamboo is a very breathable material which will increase air flow through the surface of your mattress. The quilt is filled with super soft hollow fill fiber which makes this cover very soft and comfortable. We put a one way zipper on this cover which makes it easy for the top to unzip completely from the bottom for easy maintenance. You should still use a quality mattress pad over the cover just like on a regular mattress. 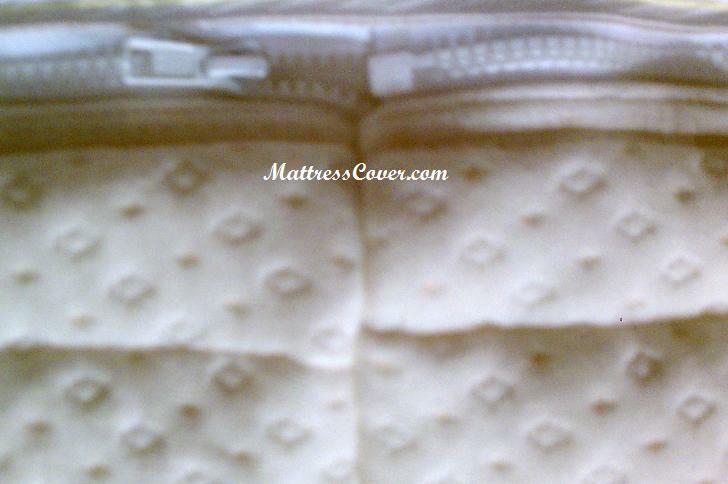 We have quality mattress pads on this site also. Prolongs the life of your water mattress. Helps Protect the water mattress from punctures. Cover Insulates your Mattress: That means your heating system doesn't turn on/off as much which save $$$ in the electric bill. Your waterbed heater should also have a longer life. Your mattress will feel more Plush and Comfortable. This cover is a quilted and it is about 3/4 thick. The cover will let air circulate between you and the mattress which will provide you with a healthier nights sleep. You will also notice an increase in support when sitting on the mattress. Better Support-Makes it easier to get in and out of bed. This cover unzips completely off so the top can be removed with out draining your mattress. This top can be dry cleaned but it does not take the place of a mattress pad. You should still use a quality mattress pad over any cover. This cover is very breathable and super soft. 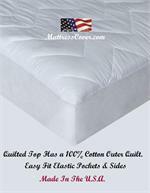 It will add comfort and protection to any water mattress. 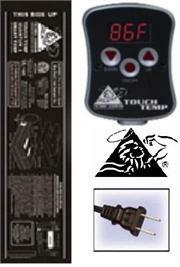 Cover is available in different depths. 7" cavity is the most common. But we can manufacture any size. Mattress cover simply unzips like a suite case. 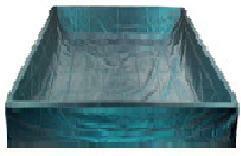 The Foam Edge, Liner, Heater and Water bladder or tubes goes inside of the cover. Fill the water mattress like you normally would and zip your mattress closed. 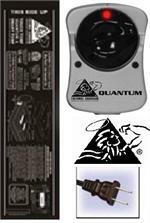 Please Click Shipping details at the top of the page. Or email your location for S/H costs. We do also ship to AK, HI & PR just email for cost. If you need a different size; We can make any size you want feel free to contact us.